This instrument has been created by luthiers of Gibson Custom Shop following our special requests. We hand selected the best woods available during our visit at Gibson Custom Shop factory in Nashville and we projected a few limited and exclusive guitars with unique look and specs. This guitar obviously has all the new 2014 specs and is caracterized by an amazing hand selected top and a beautiful Factory Burst finish. About the pickups we chose a fat sounding Custom Bucker for neck position, and an aggressive and wild Burstbucker #3 for bridge position. The 1959 Les Paul Reissue Hand Picked 2014 produced today by Gibson Custom is true to all of the original instruments features and characteristics, including Gibson's traditional carved flamed maple top and solid, non-weight relieved mahogany body. The headstock veneer is made from Holly, as opposed to fiber, just like it was in 1959, and the vintage-style tulip tuners are mounted in a straight line, also as they were on the original. The 24 ¾-inch scale length neck is made from one solid piece of mahogany, and attached to the body using a long neck tenon  one of the Les Pauls more distinguishing characteristics of the 1950s. The neck is topped by a 22-fret rosewood fingerboard outfitted with acrylic trapezoid inlays matching the size and color of the originals. Other historical appointments include CTS potentiometers, bumble bee capacitors, rolled crème-colored fingerboard binding, single-ply crème binding around the body, and period-correct switchwasher and jackplate.  Enter your details and we will send you an e-mail when Gibson Custom 1959 Les Paul Reissue 2014 VOS Handpicked - FB is in stock again. We won't send you any spam or add you to our newsletter, you will only be e-mailed about this product!